No one can claim that Catriona McPherson plays it safe with her writing. Few authors today take as many risks as Catriona does in terms of genre, style, tone, and the various other components of writing. Even in her Dandy Gilver historical mystery series, McPherson has made some choices that probably surprised some of her fans, but it is with her stand-alone novels where she is really stretching her writing wings. Come to Harm, Catriona McPherson’s latest contemporary suspense stand-alone, will be out early next month and readers should be prepared for something completely different. Come to Harm is the story of Keiko Nishisato and her experience in the Scottish village of Painchton. As the novel begins, readers discover that Keiko is a Japanese student who has received some type of educational grant allowing her to relocate to Scotland for the semester. Because her benefactors in this arrangement are a group of Painchton residents, she is required to live in the village while going to University. This new living arrangement finds her occupying an apartment above the Poole’s butcher shop. Since everything here is totally foreign to Keiko, she must force herself to adapt as she navigates the intricacies of village life. The villagers all seem thrilled to have her around and each night a different family has been assigned to see that she is fed and entertained. It is a credit to McPherson’s writing that readers will also feel completely discombobulated and overwhelmed by these strange interactions – just as Keiko herself experiences those same emotions. Descriptions of food, food preparation and dining practices abound as eventually Keiko decides to use the villagers as her test subjects for her thesis on food as modern folklore. The questionnaires she prepares for them to fill out give readers insight into both Keiko and her many test subjects. As Keiko slowly begins to adjust to her new surroundings, she strikes up friendships with some members of the village. Oddly, there seems to be no love lost between most of the townsfolk and one of her new friends, Fancy Clarke. And Keiko even finds herself as the centerpiece in a rivalry between Malcolm and Murray Poole. While all of this appears perfectly normal to the people of Painchton, Catriona McPherson effortlessly leads her readers to sense the underlying tone of menace which permeates every action. By this point, readers will be invested in Keiko’s well-being and they will be unsure of who is trustworthy and who might be up to no good. Once Keiko discovers that several young women have mysteriously left Painchton under suspicious circumstances, she begins to realize that something is amiss – even as readers start to fear it might be too little too late for Keiko. Moments of clear foreshadowing will steer readers toward the town’s secrets early on, but in true McPherson style, things are rarely ever what they seem. Come to Harm is anything but traditional storytelling. Call it an immersive experience in completely unfamiliar territory and you will be close to understanding what reading this novel feels like. It is something that only Catriona McPherson could have written and readers will justifiably lap it up. Disclaimer: A print galley of this title was distributed by the publisher at Bouchercon in Long Beach. No review was promised and the above is an unbiased review of the novel. Thanks Kris, sounds intriguing. Just added it to my “to buy” list. I’d like to say that I appreciate your reviews; they’re always informative. Can’t say that all the books you review are interesting to me, but the reviews help me determine that. You’ve helped me find authors I probably would have never read. I am very happy to hear that Leslie. It’s nice to know that I am introducing readers to new authors. 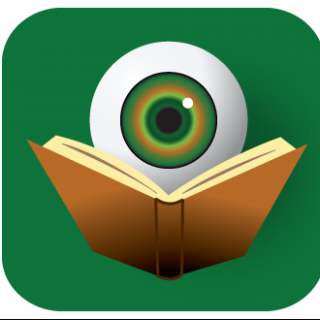 I know that my reading taste is pretty across the board, so not every book will be for everyone, but I do try to give a flavor of the books in my review, so that readers can make educated choices. 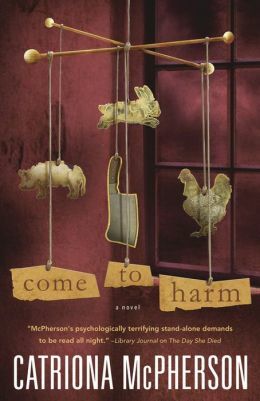 All that said, Come to Harm is quite an original book and not at all like the other Catriona McPherson novels (all of which are excellent). I hope that you enjoy it.